Spring has sprung and we nearly have a pub! Last weekend is the original date we intended to throw our official launch party. In February, it became clear there was no way we were going to reach that date and we set the 7th of April for our soft open. As we approached Easter we had to revise that date again because there was still so much to do. But now we’re finally in a position to say we’re going to be opening our doors at the end of this month! We’re cautious folks so we’re going to soft open first, with a formal launch set a few weeks later. Of course it’s frustrating to push your launch date back. But, considering the increase in scope we uncovered, we haven’t had to push our target back far at all. 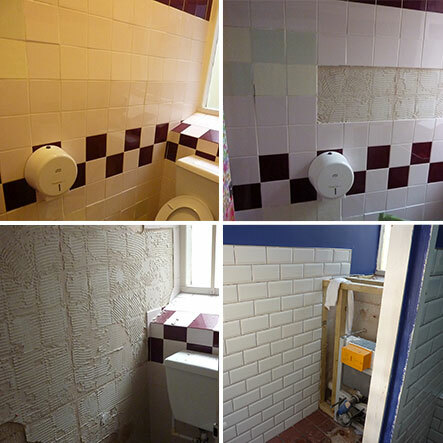 Getting the renovation completed properly is critical. 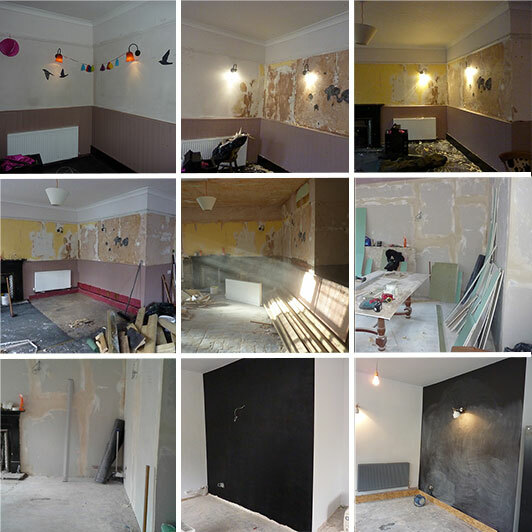 We do not want people coming in to see us for the first time and seeing unpainted walls, missing skirting boards and plaster caked floors! At first we became reluctant to show off our nearly final product online because we wanted it to be a surprise. But we have many people cheering us on from afar who want updates and locals who are keeping an eye on progress so we caved in. 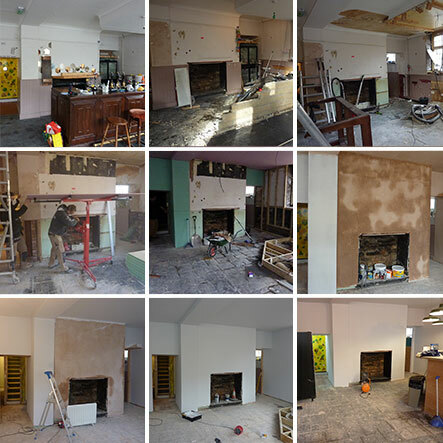 We hope the progressive pictures below give an idea of how much hard work, skill and dedication has gone into this renovation. We were lucky beyond words to be joined from day one by Tom Bayliss who has designed the look and feel of the entire place, with the central highlight being his hand built bar which we will show you soon, as well as managed the site and coordinated our talented team of contractors. Ryan, Richard, Barry, Mark, Tony & Chris have all brought their years of experience, amazing skills, major work ethic, passion and excellent senses of humour to this project. I don’t want to think about where we’d be without our team but I’m fairly sure a lot of tears would be involved. 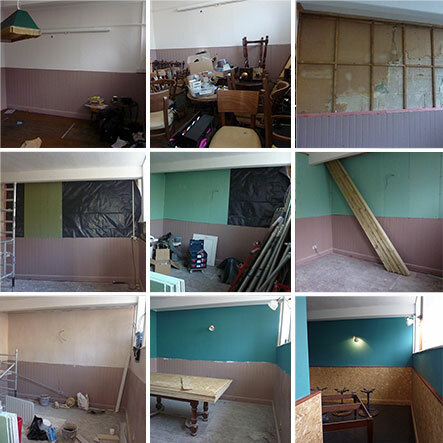 As you can see, we’re not quite finished yet, but it’s getting close. Our to do list is less ‘rewire the entire building’ and more ‘hang pictures’. More importantly we are celebrating our most exciting piece of news this week. We have acquired permission to paint the front of the pub! This was the last piece of the building facelift puzzle and it’s fallen into place. Since we’ve stopped obsessively hitting refresh on the council planning site we noticed the weather is turning distinctly spring-like! So we hope you enjoy the nicer weather and we hope to update you soon! Next post Starting to look good!